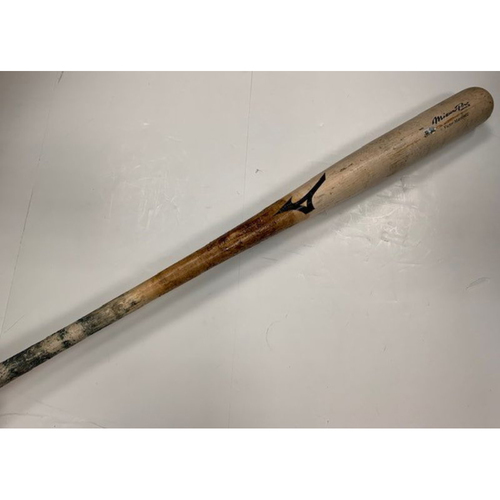 Bid now to win this player collected Victor Martinez baseball bat. This bat used for a home run on May 16, 2017 against the Baltimore Orioles. 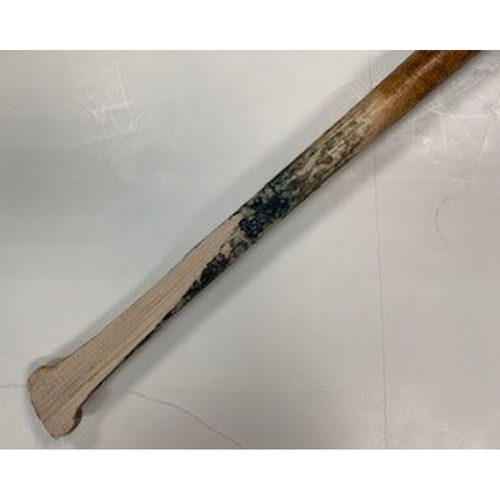 The handle is split and a piece is missing as seen in the photos.